In an increasing effort to expand its business ventures, FERZ SA is happy to introduce its better co-working office space for rent in Lausanne. The spacious office plan provides the perfect solution for both freelancers and business clients seeking an attractive spot in the heart of Lausanne to work. Finding an office space for rent can be complicated and difficult, FERZ SA relieves you from all these hurdles providing you with a neat and pristine space equipped with all the latest amenities including proper heating, Wi-Fi, kitchen and pantry. Renting an office space in the heart of Lausanne might seem as a feasible option especially for freelancers. Located a minute away from Place de la Riponne and ten minutes away from the train station makes the office space ideal for all your business projects. If you are a freelancer seeking to expand your creativity the best option is to explore a new place to work from. Better-co-working provides you with a means to break away from your daily mundane surroundings and at the same time foster your creativity. You can forget about cramped surroundings and tight space, you don’t have to feel confined to a specific cubicle or feel to distant and isolated from colleagues anymore. Better co-working offers a wide variety of tailored workspace stations and services that provide the ideal solution for your business growth. Better co-working provides you with an environment and office plan that is perfect for networking especially for freelancers, co-working spaces can be filled with other creative people and there is no shortage of inspiration when sharing an office space. Renting our better co-working space means that you can freely engage in business meetings with your clients in a professional surrounding. 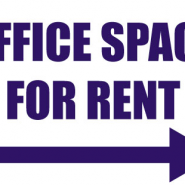 It is certainly a wise endeavour to rent an office space instead of having potential clients meet you at coffee shops or at your home. Better co-working has large and diverse office plans specifically tailored to your needs. You can choose from a variety of rooms ideal for work, including spacious private offices, or conference rooms. Better co-working can accommodate a variety of office settings and layout plans. With Better co-working you have flexible monthly membership options based on what you need, providing freelancers and business owners with an excellent and affordable option to keep their business running. To learn more about our membership plans visit http://bettercoworking.ch. You can also contact us at info@ferz.ch.